How to print in black and white if one color is finished? 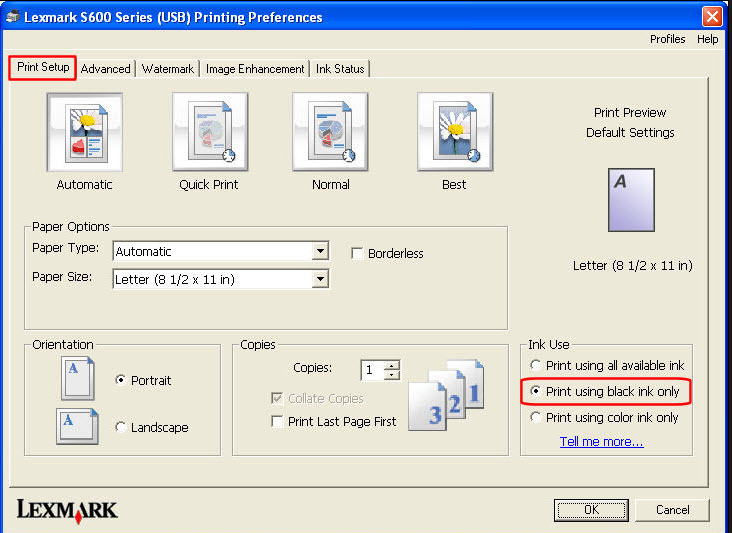 Go to printing preferences and change the color settings to "print in greyscale with the black cartridge only". See the below image. My Epson printer l360 doesn’t print anymore – Communication from laptop to printer is gone. Previous articleWHY PRINTER E410 CAN’T PRINT BORDERLESS???? WHY WHY WHY?